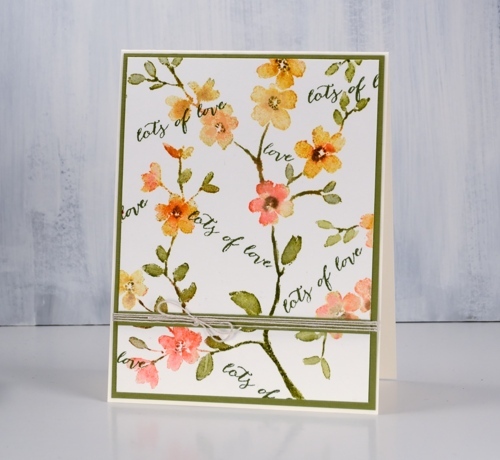 SO pretty – and a good use of all your original panel – you wouldn’t want to waste any of that beautiful stamping!! Makes me long for Spring – but with snow expected this weekend, your cards will have to do (though winter does have a beauty all its own). What a clever and inspiring way to use this stamp. I appreciate the details you give us on the use of colors. Thank you! 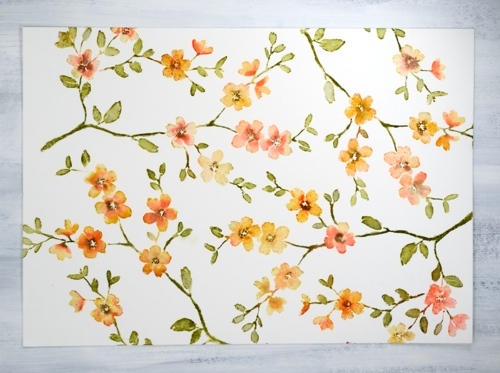 You created a piece that looks like printed designer paper! 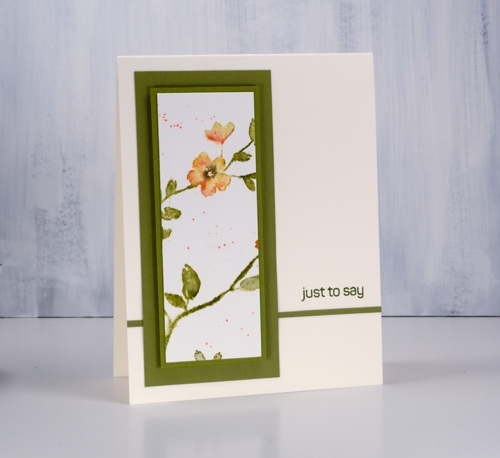 It’s just lovely and I really like all the cards you created with it! 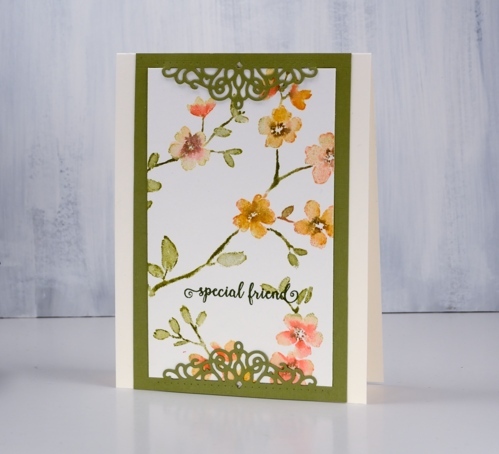 Just beautiful, Is the flower stamp a new one from PB? 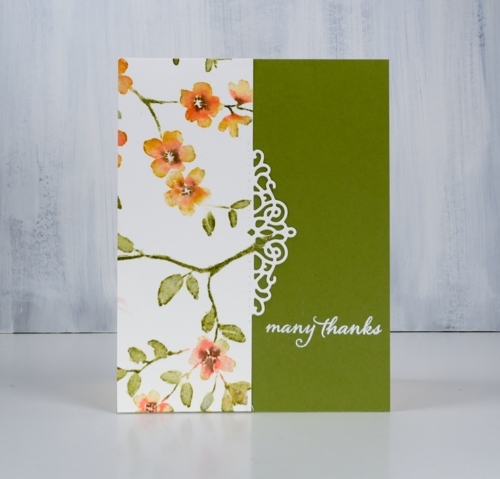 What a pretty collection of cards from one mother panel.The colours you have used are beautiful, and the clever use of the die is inspiring.Thank you Heather. 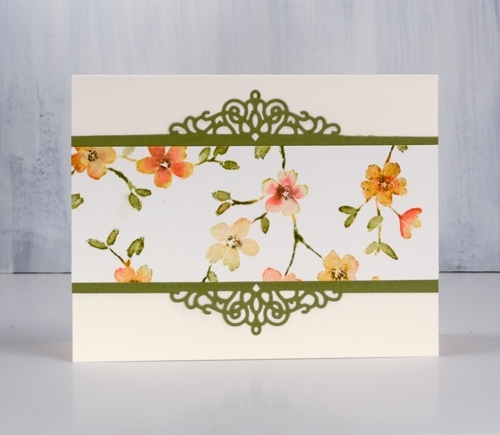 Gorgeous cards, Heather. Maybe a class incorporating this technique?